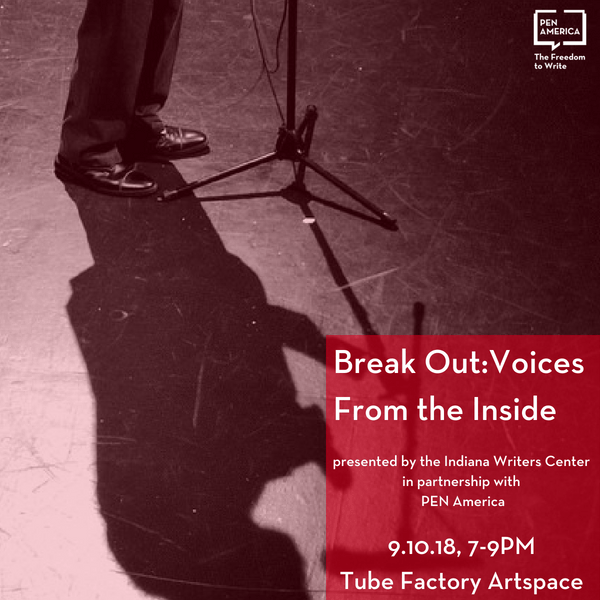 The Indiana Writers Center and PEN America are proud to present Break Out: Voices from the Inside, commemorating the 1971 Attica Prison Uprising and the PEN Prison Writing Program, which was founded in its aftermath and now reaches more than 20,000 incarcerated writers annually. The Indiana Writers Center has invited local writers to read the works of writers incarcerated in Indiana, as well as award-winning prose and poetry from the 2018 PEN Prison Writing Contest. Please join us in honoring the struggle for free expression in prison and the importance of writing as an act of creative resistance and triumph. For more information, read “Indiana Writers Center Highlights Prison Writing” published on NUVO.